As you may recall, last December I purchased my first Paravel piece: the three-in-one Motorist backpack. 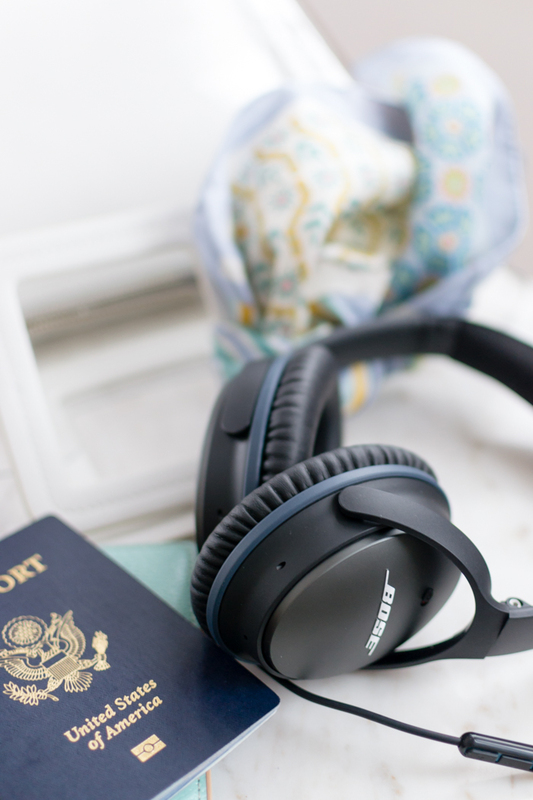 I thought it would be perfect for travel and now that I’ve actually taken it on a trip (see glimpses of it here and here), I wanted to give you a run down of the pros and cons in case it’s on your own wish list. This bag is ultra practical. As with many women, I get saddled with bringing all of the day’s necessities with me in my purse. Things like tissues, pain killers, and printed tickets don’t take up a lot of space, but I can’t tell you how annoyed I get by shoving my camera into a cross-body bag for our adventures. It doesn’t always fit well and the shoulder strain starts to bother me after a few days of lugging it around. This bag was a game changer. There’s more than enough room for the camera and other essentials, plus space to add any small souvenirs collected throughout the day. And, since it’s a backpack, the weight was evenly distributed and was comfortable to tote around. When you unzip the bag, there’s a fabric gusset on the sides that extends about halfway up the bag. This helps keep your belongings from falling out when you need to get something. It transforms into a shoulder bag (worn as such above), which is great for visiting museums that don’t allow backpacks. It’s also handy when you’re shopping. There’s a zippered pocket inside where I kept my wallet. It was easier to access when I wore it as a shoulder bag. It’s durable and waterproof. It rained at some point just about every day in London, but we had one day where it drizzled constantly. I wondered how my things would fare in the bag and, as it turns out, they were completely dry. 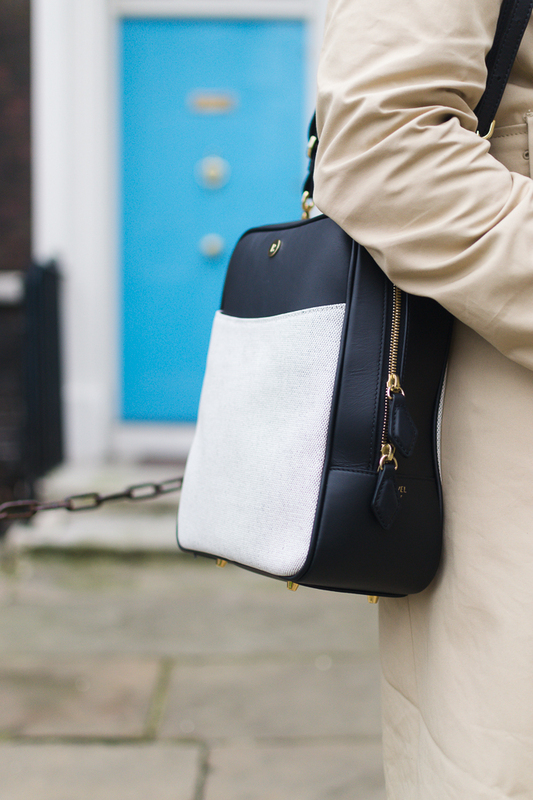 As for the bag itself, I never did wipe my bag dry after the rain, and it still looked new when it dried on its own. Even when the straps are all tightened to the last hole, the bag still doesn’t fit flush against my back. (You can kind of see what I mean here.) This means it’s always kind of dangling a bit. It’s an intentional design feature, as you’ll see in one of their shots here, but it made me paranoid that I’d whack someone with my backpack when I was in crowded areas. I’m planning to take it to a leather shop to have additional holes added to the strap so that I can shorten it more. I love it. 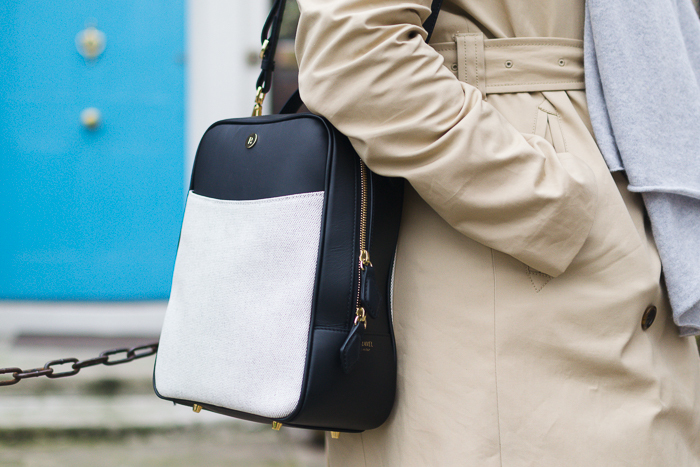 It was incredibly practical for a week of exploring, plus it’s chic. (Always a winning combination.) It also gave me a lot of confidence for purchasing other Paravel items. I’ve already snagged the crossbody capsule (see it here) and I adore this foldable suitcase (although I’m kicking myself for not getting it when the green colorway was available). Sign up for Paravel’s mailing list at the bottom of their home page for 10% off your first purchase and keep an eye on their social media account as they sometimes offer discounts. They also extend a discount offer with your package so that you can continue to build your collection. 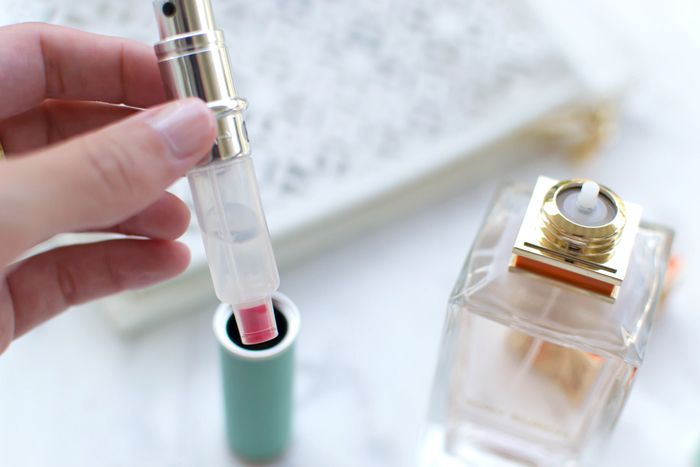 Never Travel Without Your Signature Fragrance Again + Win a Travalo Atomizer! 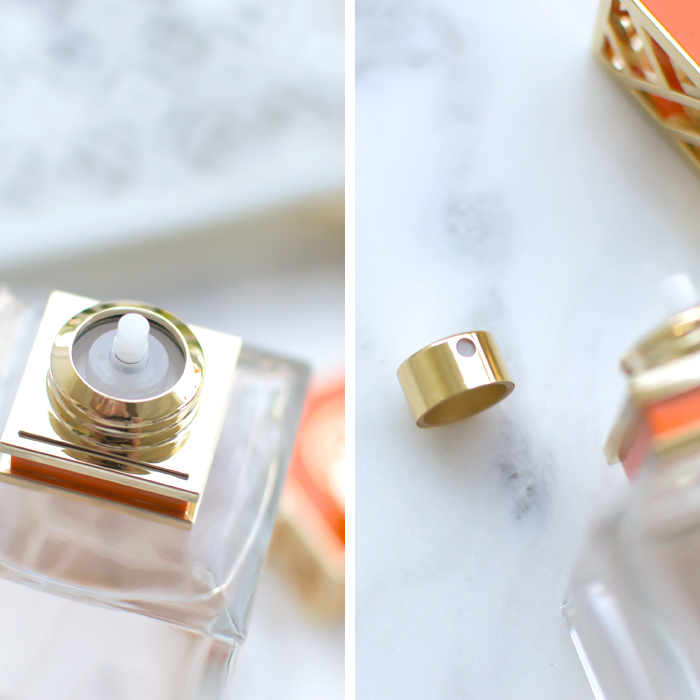 I used to jet set with a new fragrance to transport me back to that destination whenever I spritzed it at home, but that’s changed now that I’ve found my signature scent. However, I won’t travel with a full bottle of perfume. It takes up a lot of space and a traveling with the breakable glass bottle is just asking for a suitcase full of “fragrant” clothing! Now, I’ll admit that I’m lucky to have my preferred scent available in a rollerball vial, which isn’t true of many perfumes. 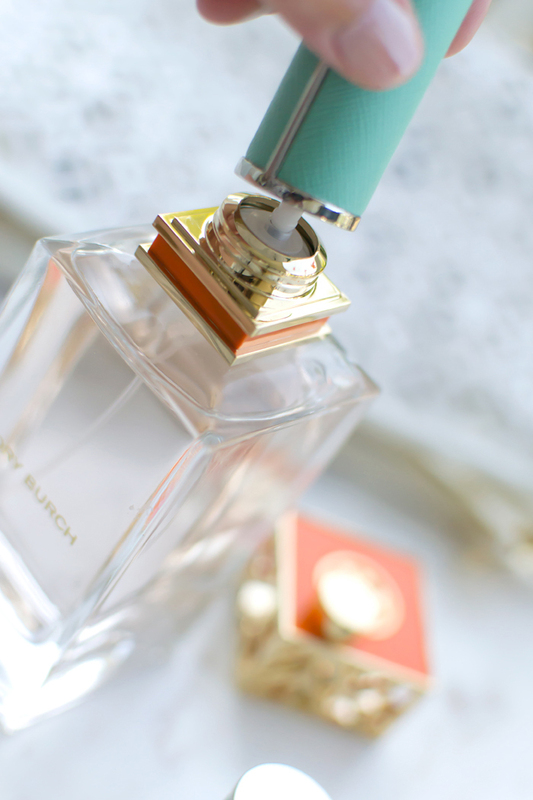 However, it’s not cost-effective at $30 for just 6ml compared to a full-size bottle at $125 for 100ml. Travalo is a brand of travel-friendly, refillable perfume atomizers that give you the flexibility to bring your signature scent on vacation. There are seven models that you can browse here. Each atomizer is leak-proof, free of glass, and fits well within airline restrictions for liquids. I was given the opportunity to try out the Milano style and I can’t tell you how delighted I am with the product. It has a nice heft to it, which makes it feel expensive, and the textured faux leather is an elegant addition to my travel bag. It seems expensive at $50, but when you consider the refillable aspect of it, it quickly pays for itself. 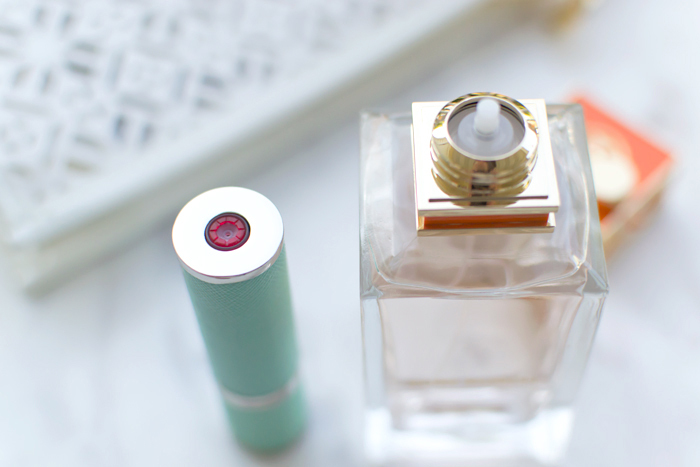 Filling the atomizer is simple: remove the spritzer cap from your perfume bottle by pulling straight up, position the bottom of your Travalo over the stem, and pump up and down to transfer the fragrance. 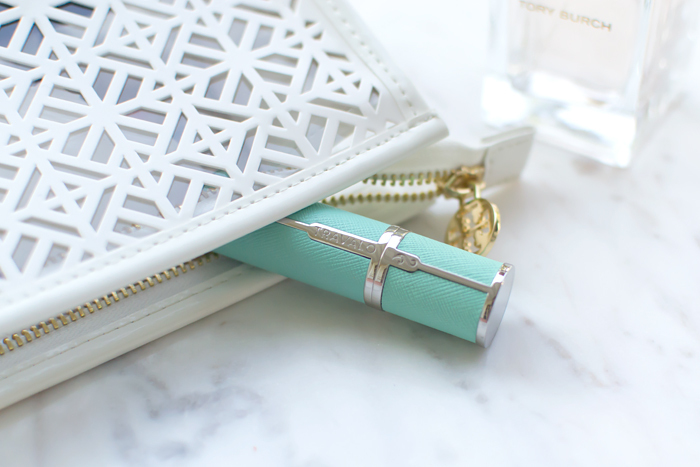 It doesn’t take long to fill the 5ml case, giving you up to 65 spritzes on the go. You can check your progress by pulling the inner tube out of the Travalo case, which also gives you the flexibility to swap cases. Want one of your own? 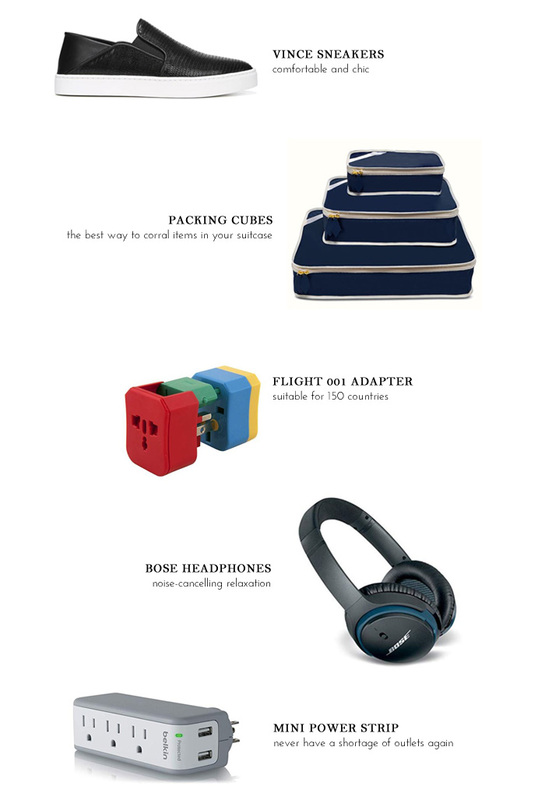 Scroll down to enter to win either the Travalo Milano in the color of your choice! Open to readers in the U.S. and Canada. 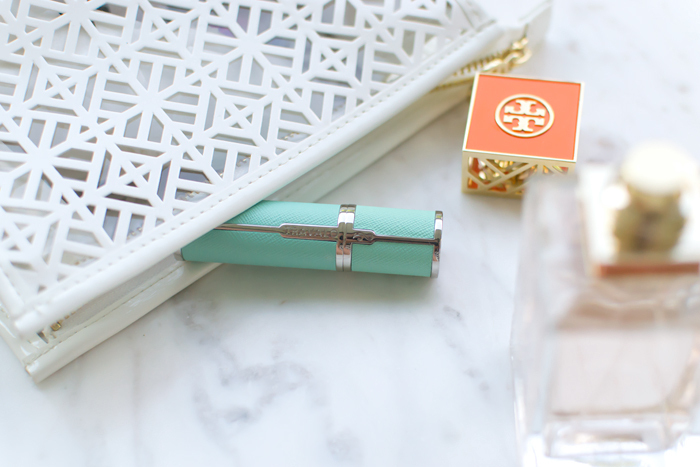 You can snag the cosmetic case in this post with a Tory Burch fragrance purchase. Details here. Thanks to Travalo for partnering on this post!